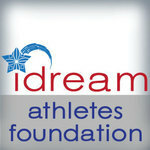 It is the mission, duty and purpose of iDream Athletes Foundation to fuel the growth for local running, cycling and multi-sport champions, teams, clubs, locally owned stores and communities in Western North Carolina by providing resource and financial support when conducting our key activities. We provide opportunities for Western North Carolina youth and adults who are unable to pay for sporting event fees, coaching, travel expenses and/or equipment to train for and/or participate in our WNC sporting events. In addition, we provide opportunities for complimentary coaching and training for local athletes to learn, train and build community together at the Asheville Winter Bike League and the Asheville Swim League. This tax-exempt non-profit provides needs-based scholarships and assists with financial support to local athletes, groups, teams and clubs. The amounts to be gifted are determined on a case-by-case basis through a criteria-selection process. 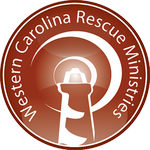 We provide Rescue, Recovery and Restoration in Jesus’ Name. Each of the three components our Ministry - Rescue, Recovery and Restoration - is about meeting people in crisis where they are, caring for them with dignity, and then restoring them to healthy, productive lives. To really understand what we do, though, you must also understand why we serve. Our belief is that God has so much more for the men, women and children of Western North Carolina struggling with poverty, homelessness and addiction. We are called to help bring stability to the chaos of these wounded lives and help them discover the plans and potential that God has placed in them. Whether serving hundreds of meals each day, providing thousands of beds each year, offering a free residential addiction program, or equipping the working poor with life skills and job training, we are committed to reflecting the love of Jesus in a way that changes lives and transforms our community. As a nondenominational ministry, we serve our clients regardless of their faith. The most important measure of the YMCA is the impact it has on the lives of the people and communities it serves. Together, these diverse groups find a place of welcome and belonging at the YMCA of Western North Carolina- an organization that builds strong kids, strong families and strong communities. Through our six centers, nineteen childcare sites and numerous programs throughout the community, the YMCA positively impacts people of all ages, races, faiths and economic backgrounds. Our Mission: To put Christian principles into practice through programs that build healthy spirit, mind and body for all. 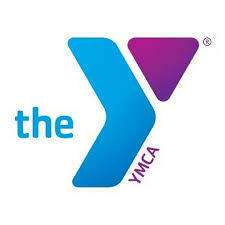 The charitable work of the YMCA is supported in part through contributions to the Y's Annual Campaign, endowment program, and other contributed income. It is our belief that no one should be turned away for their inability to pay.